Namely, the new container weighing regulation prescribes that all packed shipping containers need to have VGM before they can be loaded on a ship for export. The terminal operator is to supply container weighing services to chain partners in Denmark, Germany, France, Egypt, Russia, Brazil, Congo, and Malaysia, among others. The company says it is in dialogue with local regulatory authorities who are providing increasing clarity on national rules governing how to ensure compliance. Currently, APM Terminals is reviewing operational procedures and processes to ensure compliance with the above mentioned regulation. Specifically, APMT is planning to provide VGM data management capabilities in most facilities through accepting EDI transmissions of VGM information into terminal operating systems from the shipping lines prior to vessel load planning. Export containers received at APM Terminal facilities with a valid VGM are to be accepted as per current local operational procedures. Those export containers arriving without a valid VGM are to be generally accepted, but as they are ineligible to load on a vessel, may be segregated and subject to additional rehandling and storage requirements, as explained by APM Terminals. 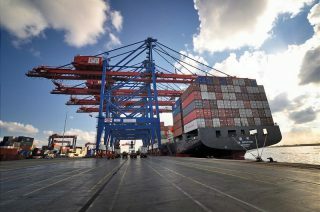 “It is crucial that these regulations are met in a way which does not create congestion bottlenecks that ultimately impose additional risk and cost for all stakeholders,” Jack Craig, APM Terminals Head of Global Operations stated. APM Terminals has a global throughput of over 56 million TEUs across a network of 57 countries.